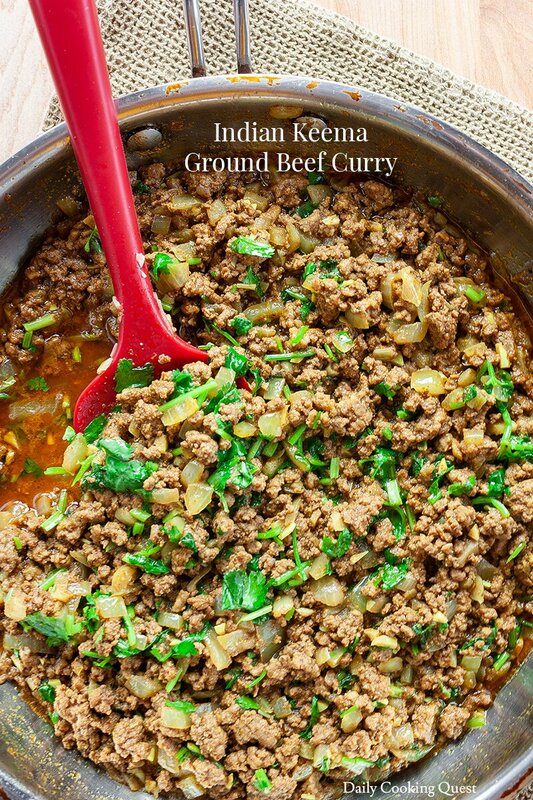 I use ground beef in this recipe because it is very common in the United States, but it is also very common to prepare keema with mutton. 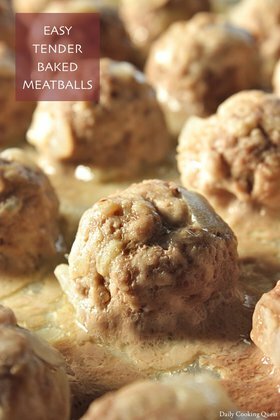 Mutton is goat meat, and it can be quite difficult to find in the States, but you can use ground lamb (which is sheep meat) if you are keen on trying the mutton version. Almost 365 days of the year, I cook and serve rice at least once a day. So my default pairing is keema with rice. But know that it is much more common to serve keema with bread, especially flat breads. 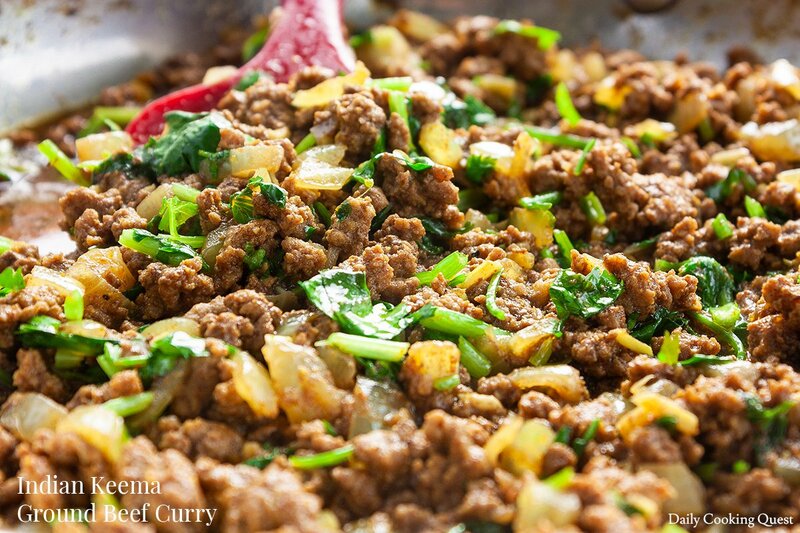 So if you have naan, or pita, or even tortilla, you can stuff them with keema. Heat oil in a frying pan over medium high heat. Sauté garlic and ginger until fragrant, then add onion and cook until onion is translucent. 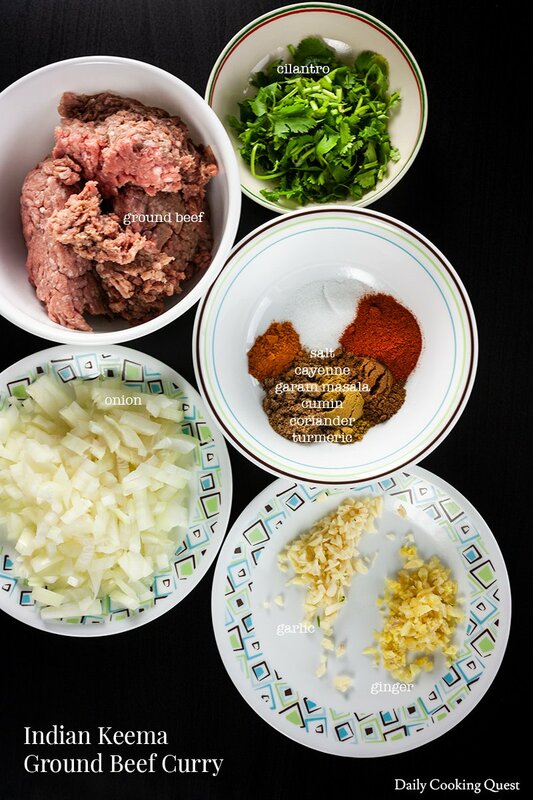 Add ground beef, and stir to break up the beef. Cook until no longer pink. Add salt, cayenne powder, garam masala, cumin, coriander, and turmeric. Stir, and cook for 2 minutes. Add water (or stock) and mix well. Once it boils, reduce heat to a medium, use a lid to partially cover the pan, and simmer for 10 minutes, or until the sauce is almost dry. Turn off heat, stir in cilantro. 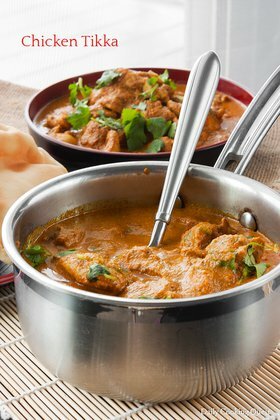 Transfer to a serving plate and serve with rice, or flat bread. We've just had this for lunch. So simple and so delicious!